This installation features contemporary art that addresses themes of pattern and motion. These topics have proved fruitful for contemporary artists looking to capture the dynamic world around them; the works in this rotation dive into concepts as varied as optical illusion and the Underground Railroad. From the pulsing figures of Keith Haring to the tricks that Jésus Rafael Soto’s sculptures play on the eyes, these pieces offer diverse perspectives on the ideas of rhythm and movement. The exhibition program at the Museum is supported through the generosity of the Harry C. Trexler Trust, Julius and Katheryn Hommer Foundation, The Century Fund, Bernard and Audrey Berman Foundation, Leon C. and June W. Holt Endowment, Martin Guitar Charitable Foundation, Pennsylvania Council on the Arts, National Endowment for the Arts, and the Friends of the Museum. This installation featured contemporary art that addressed themes of pattern and motion. 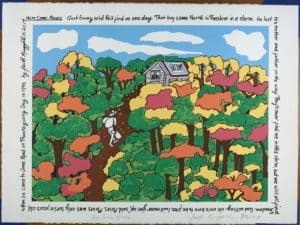 These topics have proved fruitful for contemporary artists looking to capture the dynamic world around them; the works in this rotation dove into concepts as varied as optical illusion and the Underground Railroad. From the pulsing figures of Keith Haring to the tricks that Jésus Rafael Soto’s sculptures play on the eyes, these pieces offered diverse perspectives on the ideas of rhythm and movement. 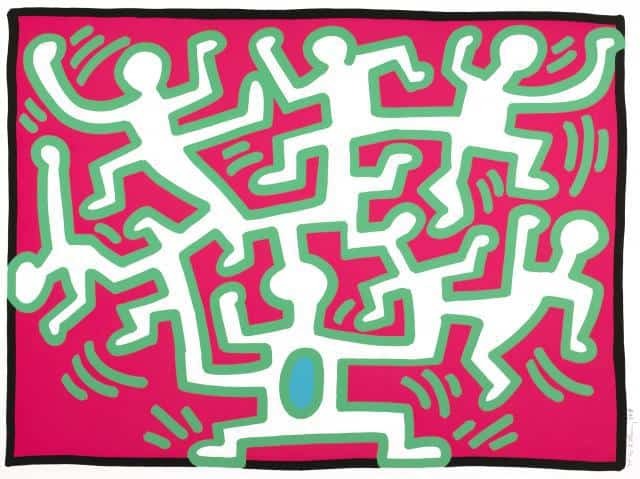 Keith Haring (American, 1958–1990), Growing, 1988, screen print. Private collection.